"My return to Pitt last year was the realization of a longtime personal and professional goal," Cignetti said in a statement to ProFootballTalk.com. "It was made even more gratifying by the outstanding season we enjoyed. I couldn't be more fortunate to work for Dave Wannstedt and coach these great kids. 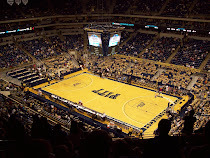 Despite recent reports connecting my name with other jobs, I am wholeheartedly committed to being at Pitt and continuing to establish our program among the nation's very best." The amount of relief for Pitt fans was probably only exceeded by Bears fans, many of who screamed on message boards they wanted no part of him. As I said before, that's good news for us. The Trib-Review takes a look at the recruting classes with Letter of Intent Day coming up. 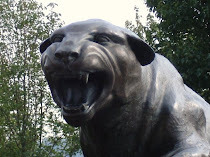 Pitt ranks 29th according to Rivals.com and as we've heard before, Pitt lost a couple of highly-regarded recruits, that had parents with Pitt ties, to Penn State. About National Letter of Intent Day, here a small amount of media coverage for it. Looks like Pitt players had quiet post-season bowl games. Only Dorin Dickerson showed up in either of the box scores, tallying one catch for seven yards. Now that it's been four years, Scouts, Inc. looks back at the ESPNU top 150 players in the 2006 class and how they've fared. Pitt has three guys on the list - Lesean McCoy, Nate Byham, and Dorin Dickerson. Blogger Brian Bennett also weighs in with his hits and misses from that class. Tickets for the 2010 season are also now on sale.